The Wisconsin governor wants to be the GOP presidential nominee. But he had a lousy 2013 Election Day. Virginia Republican gubernatorial candidate Ken Cuccinelli counted on Wisconsin Governor Scott Walker to provide the conservative candidate with some of the “star power” he needed to get him elected November 5. The Cuccinelli campaign scheduled a high-profile rally in Spotsylvania on the Saturday before the election—hoping for a rip-roaring event that would put a picture of the candidate, his surrogate and a huge crowd on the front pages of Virginia’s Sunday morning papers. It was not quite what the Cuccinelli campaign had hoped for. Nor was an event later in the day with the governor of Wisconsin that drew barely 100 Republican stalwarts. 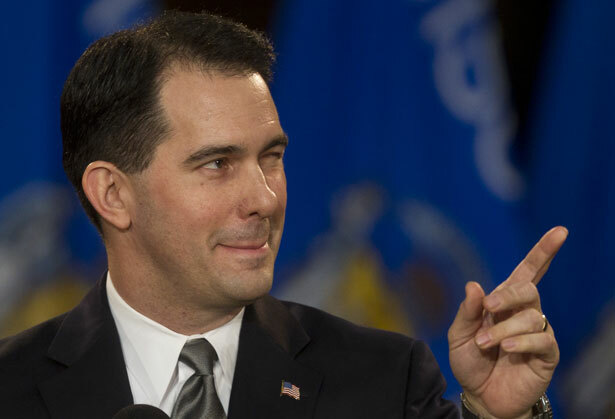 Nor was it a great day for Walker, who imagines himself as a 2016 presidential prospect. That Walker is running for president is clear. He will issue a campaign biography later this month—Unintimidated: A Governor’s Story and a Nation’s Challenge—later this month. But he did not have the kind of off-year Election Day that make’s a candidate look like the next leader of the Grand Old Party. On the day Walker arrived in Virginia, an Emerson College poll had Cuccinelli within two points of union-backed Democrat Terry McAuliffe. But Walker didn’t close the gap. His campaigning for Cuccinelli fell short, as did the Virginia contender—who lost his race by more than 55,000 votes. In the race where a Republican won, Walker was notably absent. Though he was on the East Coast, Walker was not invited for a final weekend surrogate swing in New Jersey to campaign for Republican Governor Chris Christie. Though he campaigned for Walker in 2010 and 2012, Christie did not appear to be seeking to associate himself with the Wisconsinite as Christie was organizing a reelection run that was managed with an eye toward jumpstarting the New Jersey governor’s own Republican presidential bid. On Tuesday, Walsh scored what many saw as a come-from-behind win, grabbing the mayoralty with a 52-48 margin. That rejection of Walker-style governing helped de Blasio win 73 percent of the vote on a night when Cincinnati voters rejected attempts to undermine pension protections for public employees, when SeaTac, Washington, voters embraced a $15-an-hour living wage, when New Jersey voters raised the minimum wage in that state and linked future increases to hikes in the cost of living. Make no mistake, Scott Walker is still running for president; he’s off to New York November 18 to wine and dine with big donors. But he is running from a weaker position—within his own Republican Party and nationally—as the electoral shine comes off the anti-worker, anti-union agenda. John Nichols exposes Chris Christie’s brand of style-over-substance politics.